The best music tours the world can offer. 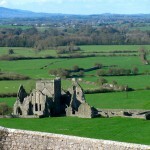 Has your ensemble been to Ireland? Our customized performance tours will accommodate the specific needs of your group, offering excellence in performance arrangements, sightseeing, and safe, comfortable travel. For 30 years, Gateway Music Festivals & Tours has led the music tour industry with seamless performance tours for choirs, orchestras, concert bands, jazz bands and marching bands. Our satisfied clients include youth, high school, college, university and adult groups, including church and alumni tours. Our groups travel to rich, historical venues and participate in parades, festivals and music events in major U.S. cities including Alaska & Hawaii, Canada, Latin America, Europe, Asia, and international & domestic cruises. No matter where you want to travel, we can plan your ideal music tour.